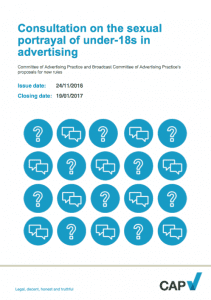 The Committee of Advertising Practice (CAP), and the Broadcast Committee of Advertising Practice (BCAP) are consulting on proposals to introduce new rules prohibiting the sexual portrayal of under-18s (or those who appear to be under 18) in advertising. The social responsibility rules already allow the Advertising Standards Authority (ASA) to uphold complaints about such sexual portrayal but they do not automatically prohibit it. The proposals would create an automatic ban on sexual portrayal of under-18s or those who appear to be under 18 in advertising, strengthening the Codes’ existing protections. CAP and BCAP consider that premature sexualisation – and its links to harm – mean the new rules are a necessary and proportionate strengthening of existing rules to protect the welfare of under-18s. These rules will sit alongside national and international measures prohibiting certain types of sexual depiction of under-18s. 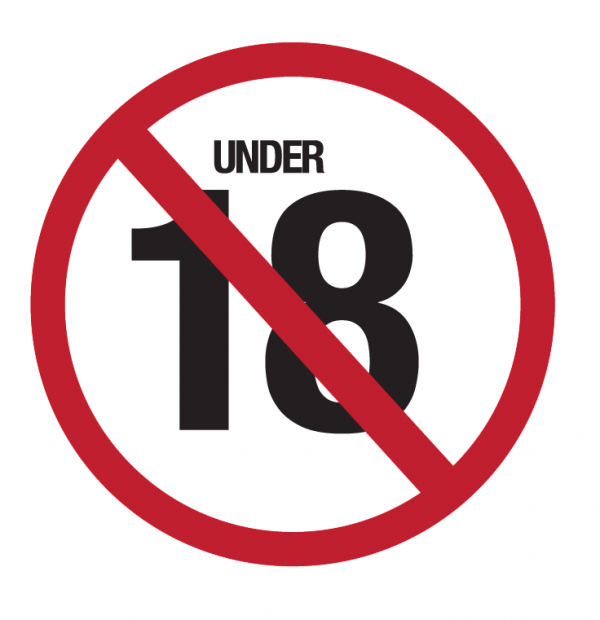 It is about the potential for some adults to view under-18s in general as sexual beings or the potential for under-18s to be pressurised to view themselves as sexual beings. The proposal is also concerned with the protection of the individual models featured in advertising. The ASA already has the interpretive power to deal with inappropriate and sexual images of 16 and 17-year-olds. It can uphold complaints about such images, but without a specific age-related prohibition advertisers have no explicit signal not to include such imagery and no certainty as to what images are likely to be acceptable. The proposed rules will allow CAP and BCAP to provide adequate protection to vulnerable people while ensuring that advertisers have greater certainty on the types of imagery that they may include in their advertising without running the risk of regulatory intervention. An exemption for ads promoting the welfare of under-18s or aimed at preventing harm to them has also been proposed to allow the ASA the discretion to ensure that responsible advertising does not fall foul of the rules. An example of this type of ad would be an ad that sought to promote sexual health in 16 or 17-year-olds. They are asking respondents to indicate whether they agree with CAP and BCAP’s proposed rules and to provide any evidence or reasoning in support of their views. The full consultation document can be found here. The closing date is 19 January 2017. If you are unsure how your activities fit within the rules, please take advantage of our Advert Review service.